As a real estate sales professional your highest priority in the marketplace is to seek out opportunities to differentiate yourself from your competition. Every sales professional needs a unique value proposition when it comes to marketing, advertising and selling real estate. Declaring that you are number one in all of your marketing materials only goes so far. 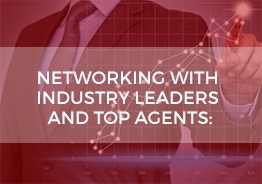 So, what exactly makes you different than the rest of the number one agents? That answer is YOU. You make the difference as a sales professional in every aspect of marketing and selling real estate and mortgage loans. The Power Is Now Online Marketing & Advertising can help you demonstrate how different you are. Our team will record an interview with you and Eric L. Frazier Host of The Power Is Now Radio about your career in real estate. The Power Is Now Radio is broadcast on Blogtalkradio and syndicated to iTunes and other online radio platforms and soon to be public radio. You will receive the embed code of the show to place on your website and social media. The show will also be embedded in our Radio magazine which will feature you on the cover and the press release about the show, your biographical statement and anything else you would like us to ad to enhance your presence online. The interview will also be broadcast on the Power Is Now Online TV, YouTube, Facebook and other social media platform because record all of our shows on a video platform. 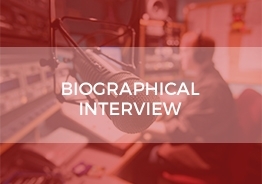 In addition to people finding this interview when they search your name online, you will be able to email this interview as a link to the radio show or link to the Radio magazine as a professional introduction to any clients in advance. This product alone separates you from your competition and raises your level of professionals. 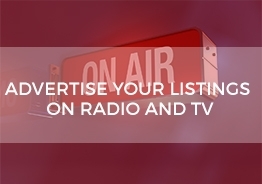 Our team will record a Power Is Now Online TV and Blogtalkradio interview on every real estate listing you have as part of our overall marketing strategy to get more exposure to you and to all real estate listings you have. These interviews will be promoted on your social media accounts, emailed to your database and prospects that we manage, and promoted on our social media platform to thousands of followers and millions of listeners who are in our network. Your sellers will be impress and share both shows to their friends, family and neighbors. You will definitely get more referrals. Our goal is build your presence and marketing power online and enable you to bring the buyer from your own marketing not just the MLS. Sell your own listings and build your brand through online marketing strategies that most agents are not able to do. Rise above the competition. Our team will create a full page ad in the Power Is Now Magazine to promote you and all of your services as a real estate professional. 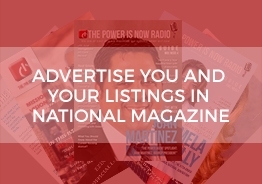 The Power Is Now Magazine is distributed to hundreds of thousands of agents nationwide and even more consumers nationwide as a free e-magazine. Set yourself apart by having an advertisement in a professional magazine that is written for consumer and real estate professionals. Our team will create a full page ad in the TPIN Magazine. The TPIN Magazine is a national eZine that started in November of 2013 and has over 500,000 readers and growing. We will promote you and all of your services as a real estate professional in the magazine. Most agents do not advertise their listings in any consumer or trade magazine because it is too expensive. They advertise in inexpensive real estate magazines that bury their listing in hundreds ads of other listings. The TPIN Magazine is real estate magazine for consumers and real estate professionals that is about housing economy, real estate sales activity and many other articles about economics, markets, and real estate strategies to buy or sell real estate. Context is everything in marketing. Your listing receives a two to three page layout and a professionally written full page article. The TPIN Magazine is distributed to hundreds of thousands of agents nationwide and even more consumers nationwide as a free e-magazine. Set yourself apart by having an advertisement in a professional magazine that is written for consumer and real estate professionals. You will be able to send it to your clients and most importantly to your seller who will be impress with the quality of the publication. This is another strategy to rise above the competition. Our team will create one to two full page ads on every listings every month for our listing agents in the Real Estate Radio Magazine. The Real Estate Radio Magazine was born out of Blogtalkradio. We have over 1 million downloads and that does not include syndication to Itunes and other online radio platforms. 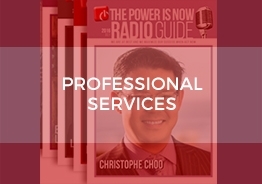 In order to provide our agents a means to promote their radio show to their clients and to give their clients and prospect a visual of what they are talking about on the Radio, we created the Real Estate Radio Magazine. 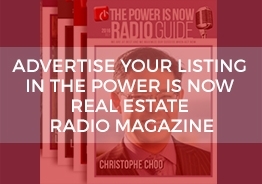 In Real Estate Radio Magazine each agent receive unlimited opportunities to promote their listing on the Radio. The Radio Magazine features the agent and listing on the cover and inside on one to two pages. It also has the audio to the radio show embedded in the online publication. It also includes a detailed distribution about the listing in a professionally written article. The Real Estate Radio Magazine is a far more professional presentation about any real estate for sale than anything else on adverting. It is an online magazine so people will find it when they search your name and it will increase your marketing power and brand online. This is another strategy to rise above the competition and generate buyers from your own marketing an not the MLS. Our team will write a 300 to 400-word article for you in each magazine issue about your market area, and the local stats, economics, new real estate developments and any other noteworthy news there may be about real estate in your market area. All you need to do is send us a short outline or commentary about it and we will take care of the rest. 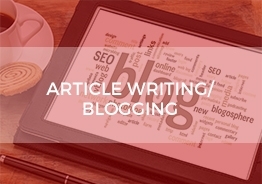 This article will not only be in our magazine but also your blog for your website. The Power Is Now is a Media company. We are fully invested in the following social media platforms: Facebook, Linkedin, Pinterest, Instagram, Active Rain, and Twitter. 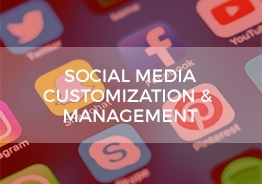 Our Marketing team is constantly creating custom content to enhance your presence online. All of the Inteviews, Videos, Article & Blog Writing, TPIN Magazine and Radio magazines as well as relevant news and information about real estate in your market is shared on social media. One of the most impressive benefits of working with the Power Is Now that you recieve social media management. We post eveything we create for you and post relevant news and information about your market. We create custom post and covers to highlight the seasons or special events. This also includes listings, radio and TV shows about your lisitngs for free. To have professionally manage social media separates you from your competition and raises your level of professionals. Receive 30 minutes of free business or personal coaching from Eric L. Frazier MBA monthly by appointment only. 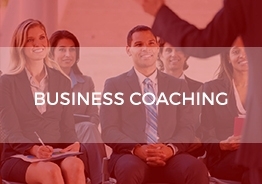 You will also receive business coaching, from me and other experts on my team. Business coaching includes business planning, S.W.O.T. analysis, Recruiting, Marketing Strategies, Forecasting and Social media and raising capital. Whatever your goals and objectives are will become ours and we will help you achieve them. Receive VIP expedited services from our affiliated partners. Invitation to private teleconferences with Industry leaders and rain makers. Special discounts to real estate conferences and events. Invitation to special mixers and dinners at real estate conferences and much more. Invitation to be a co-host with The Power Is Now Founder and CEO on specials radio shows with industry leaders and Top Producers. Personal one on one introduction to decision makers in banking, default services, and asset management. Participation in Home Buyers Seminars with churches and non-profit organizations in your market area. Co-brand our Home Buyers Online Seminar to support Buyers and Sellers in your market area. Receive Buyers and Listing leads support from Leads generated from the Power Is Now Live Online seminars and advertising. Receive Buyers and Listing leads from the Power Is Now network of agents, investors and listeners across the country. Receive discounted lead generation services from national lead generation companies. 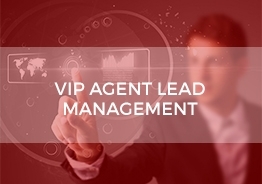 Receive management and support of your existing leads from inquiry to closing.